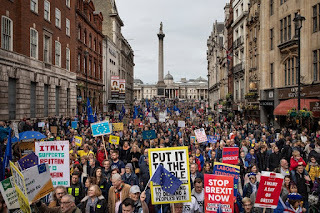 In one of the biggest demonstrations in British history, a crowd estimated at over one million people yesterday marched peacefully through Central London to demand that MPs grant them a fresh referendum on Brexit. 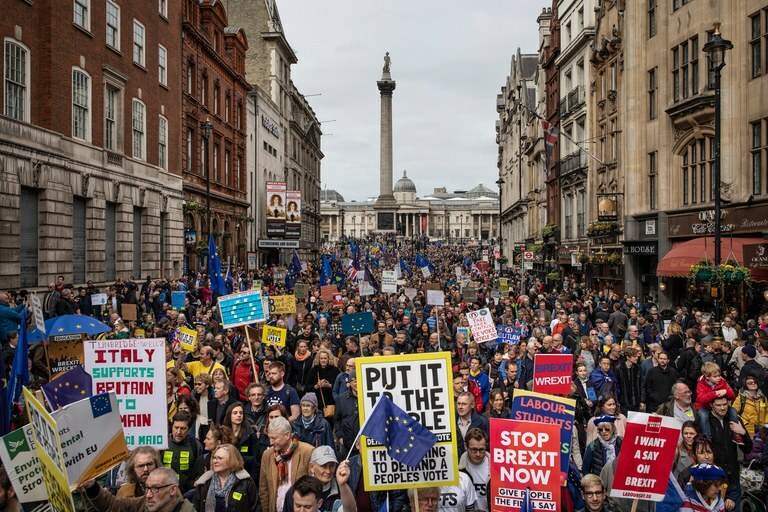 The 'Put it to the People' March, which included protesters from all corners of the country and many EU nationals living here, took place amid extraordinary political turmoil and growing calls on Prime Minister Theresa May to resign in the ongoing political crisis. Before the March Stephen had made the plea : "More than anything else, it is because I served in the British Army during the Second World War that I am resolved to do what I can to protect and defend the peaceful and democratic Europe that so many of my generation, including my friends, paid such a high price to secure. 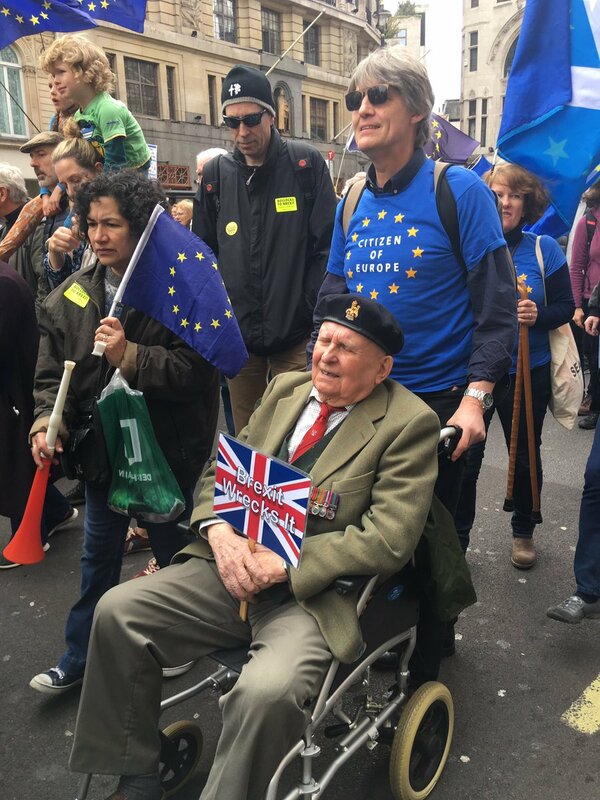 I may now be an old man but, like the soldier I once was, I am ready to march again for a better future. Please join me. " "Sometimes I wish that Shakespeare’s famous line from Henry V, the great English warrior king, "Old men forget, yet all shall be forgot," were true, because I can never forget the many young men who fought and too often, died with me in the jungles of Burma and India 75 and more years ago. We won our battles then and we should rightly proud of the victory over a cruel Japanese conqueror, just as we should be pleased about how we successfully defended European freedom in the Cold War. But we should never mistake that pride for a love of battle." Born in 1922, after a boys public school education, Stephen began life as an undergraduate studying mine engineering at Birmingham University the age of 18 in 1940 in the second year of the Second World War. Given the fact that mining was classified as a 'vital occupation' he was excused active service, but nonetheless, at the age of 20, he volunteered for service in the Royal Engineers in 1942. He subsequently served in India and in the 'Burma Campaign' which involved a series of bloody battles involving Britain, USA and China against Japanese forces invading British territories in Southeast Asia. He was almost killed behind enemy lines when a bullet was deflected off the wristwatch which he had received on his 21st birthday and was awarded the Military Cross in 1945 for his 'acts of exemplary gallantry during active operations against the enemy' during the crossing of the Irrawaddy River. He was 23 years old. He recalled : "I fought in Burma in the Arakan and at Imphal, before crossing the Irrawaddy on 14 February 1945. All of these were victories, in fact some of the finest in the long and proud history of the British armed forces. But they were unforgettable for all the wrong reasons. 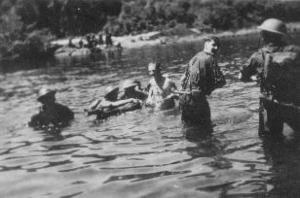 In fact, on that river crossing I was seriously injured and had to be evacuated by air. I served for another 27 years, including in the Malayan emergency and I completed three tours in northern Germany – where we were always ready for the threat of war from the Soviet Union – all before finishing as a Brigadier at the Royal School of Military Engineering." In addition to his tour of duty in Malaya and Germany, Stephen spent two years in the USA as the British Liaison Officer to the US Corps of Military Engineers. The fact that his Army experience brought him into close contact with former European friends and foes and may explain why he has said : "I know soldiering is necessary, but it is equally essential to do all we can to build international institutions that reduce the need to risk the lives of young men and women in the future." It was, however, his experience in the War which left an indelible mark on him : "More than anything else, it is because I served in the British Army during the Second World War that I am resolved to do what I can to protect and defend the peaceful and democratic Europe that so many of my generation, including my friends, paid such a high price to secure. 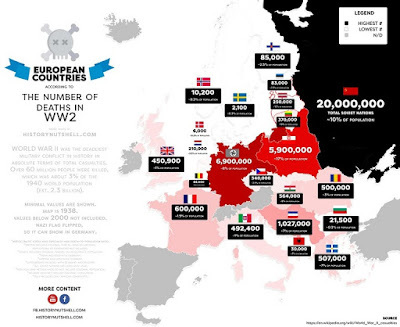 The European Union is just such a body. I have never pretended it is perfect. How could it be? But it has helped maintain peace for more than 70 years and perhaps it is up to those like me, who remember how much blood was once spilled across Europe, to remind people that the EU is a whole lot better than what existed before its creation." He continued : "My generation was not the first to face continental or even global war, but it has so far, thankfully, proved to be the last. There is no doubt that the EU, Nato and the other institutions of the Atlantic alliance, founded on democracy and the rule of law, have played their part and we risk them at our peril. When I look at the politicians in Westminster who are now so recklessly seeking to sever some of the ties for their own narrow purposes, I feel a sense of shame and despair." Before the March he said : "Nothing breaks more hearts, destroys more lives and is more likely to make the living envy the dead than war, even when it is necessary and unavoidable as it was for us in Burma. Instead we should love and cherish peace and do everything we can to nurture and preserve it and it is for that reason that I am so pleased and proud to be once again marching for a People’s Vote on Brexit on Saturday." "I am an old man and the outcome won't affect me - but it will affect my family and many people that I know for years to come."